The Road to Lobster Cove. 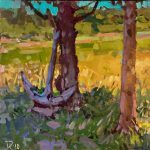 Oil, 12 x 12. $650. The Dock. Oil, 8 x 10. $550. 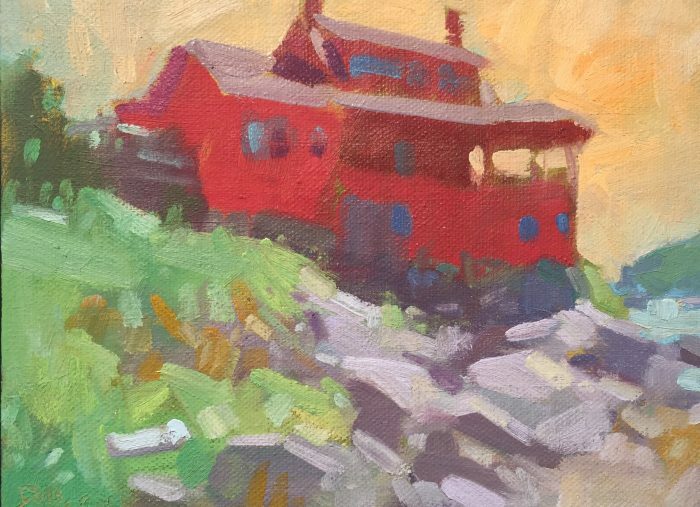 Red, Oil, 6 x 8. $450. 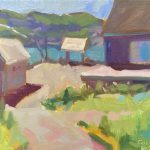 Dan Corey is a Maine painter, and was the 2009 artist in residence of the Monhegan Artist Residency Corporation (MARC). 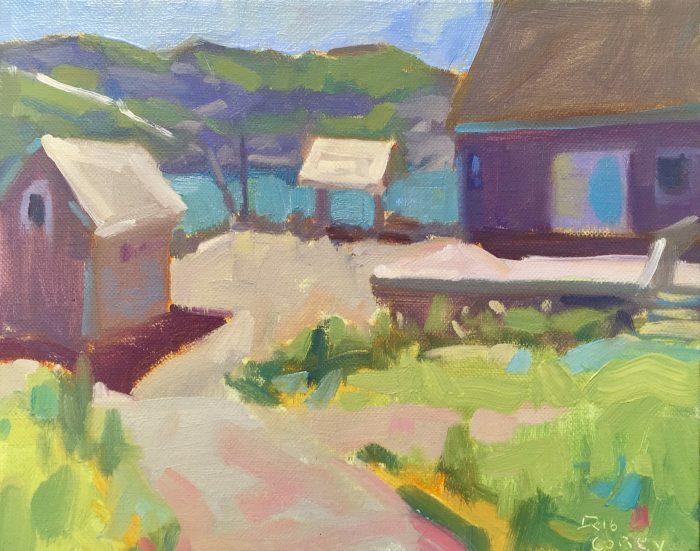 Corey is a traditional painter rooted in the aesthetic values of the Ashcan school and the impressionists of the Cape Cod School of Art. 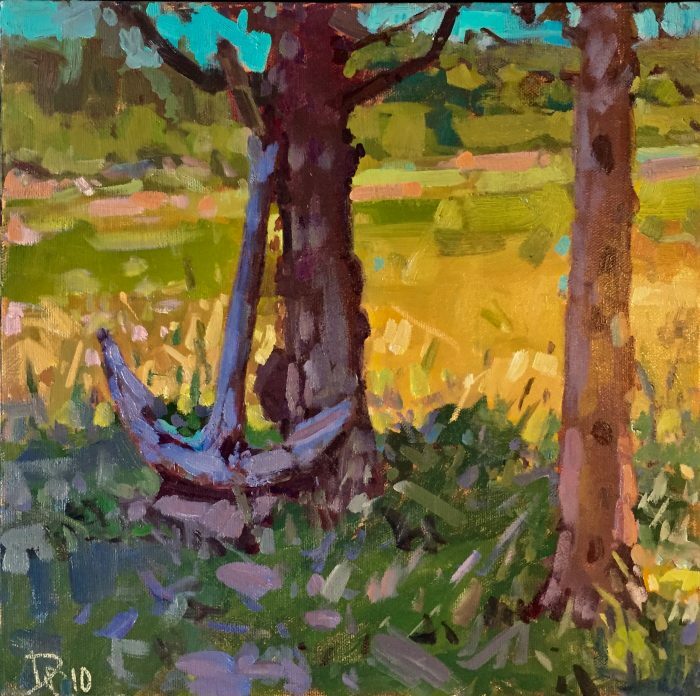 Inspired by light quality, color harmony and abstract shapes, his paintings are created from direct observation. 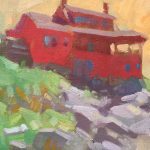 Enjoying the challenge of painting nontraditional views and subjects, he finds the beauty in them, along with what he interprets as, “what makes Maine, Maine”.